Undeniably, simplicity and flexibility are the two major pillars of WordPress as a blog platform. You may be a just a layman user, yet you can easily create a complete WordPress site and manage the site on your own. On the other hand, there are thousands of ways to customize your site to make it look unique from others. Literally, there are thousands of multipurpose as well as niche based WP themes on the web. No wonder, there are plenty of beautiful WordPress blog themes – carefully designed and developed to let you create professional blogs easily and quickly. With a sheer number of WP blog templates, you may be overwhelmed and find it difficult to choose one. Therefore, I have carefully handpicked 10+ best WordPress themes and templates for blogging. 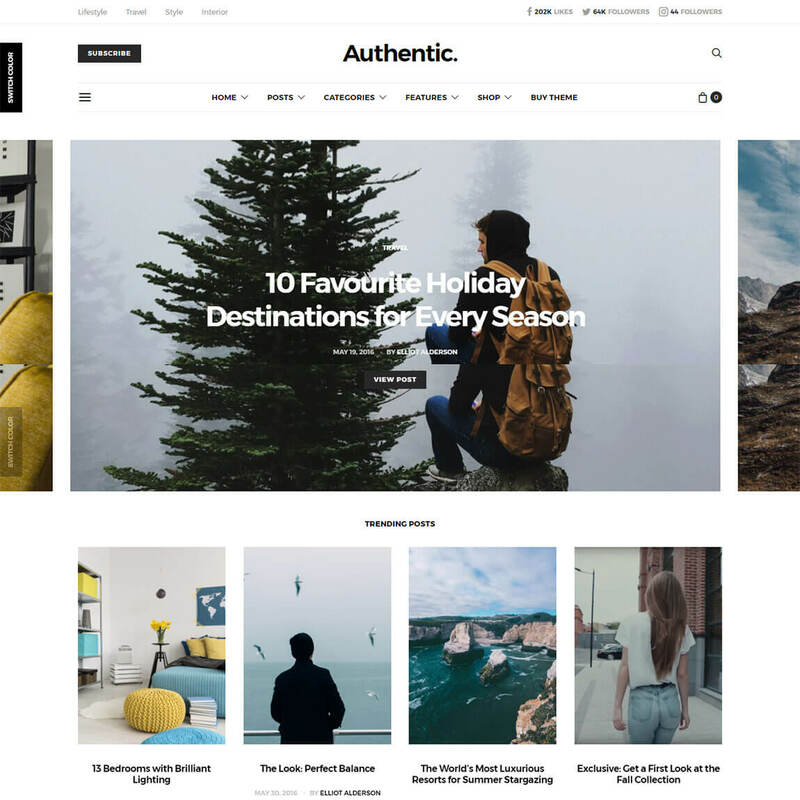 Authentic, as the name, is a pure and reliable WordPress blog theme. Built with attention to details of a professional blog, it offers a really beautiful, clean, and eye-pleasing blog template for you. It has 20 pre-made stylish and unique blog demos with One-Click Demo Switcher. Therefore, you can install any of the demos and start customizing it with your content in a matter of minutes. Furthermore, it features 15 color presets to choose from which lets you play with colors and use your favorite color in just two clicks. Like a royal blog theme, it offers multiple ways to showcase your content – four post header variants, multiple archive types, numerous gallery types, and more. 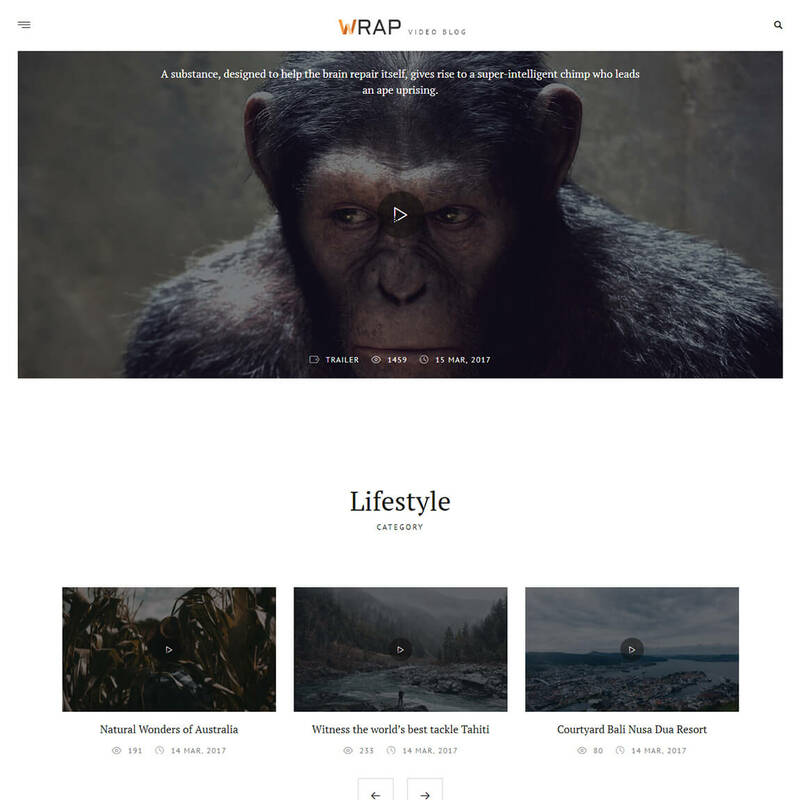 This is a collection of premium WP blog themes. You may also like to check out our collection of free WordPress blog themes 2019. Newspaper is the most popular WordPress theme for blogs, news or any publishing websites. Everything you need is already there, starting with 50+ full-website demo designs, article templates, video posts, smart lists, translations, Author Box, Popular Category or Newsletter widgets, dozens of header and footer styles. Customizable to the core, Newspaper has a custom frontend page builder, called tagDiv Composer. Its latest version brings the tagDiv Cloud Library – a range of one-click elements and pre-built design layouts. 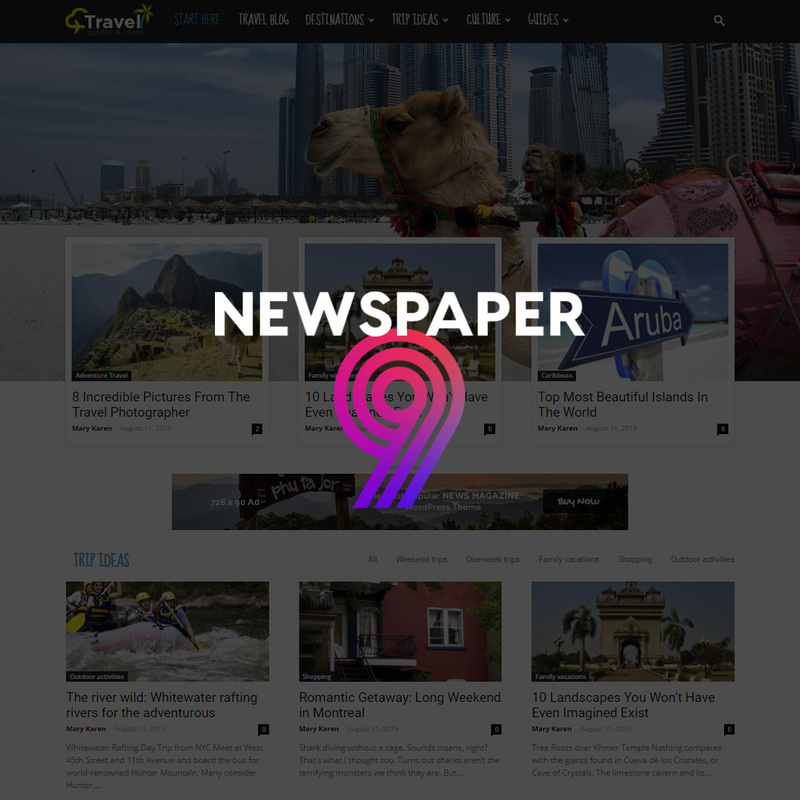 Whether you are a coffee or animal lover, a DIY fan, a book enthusiast, or a traveler, Newspaper gives you the tools to build any blog you can think of. 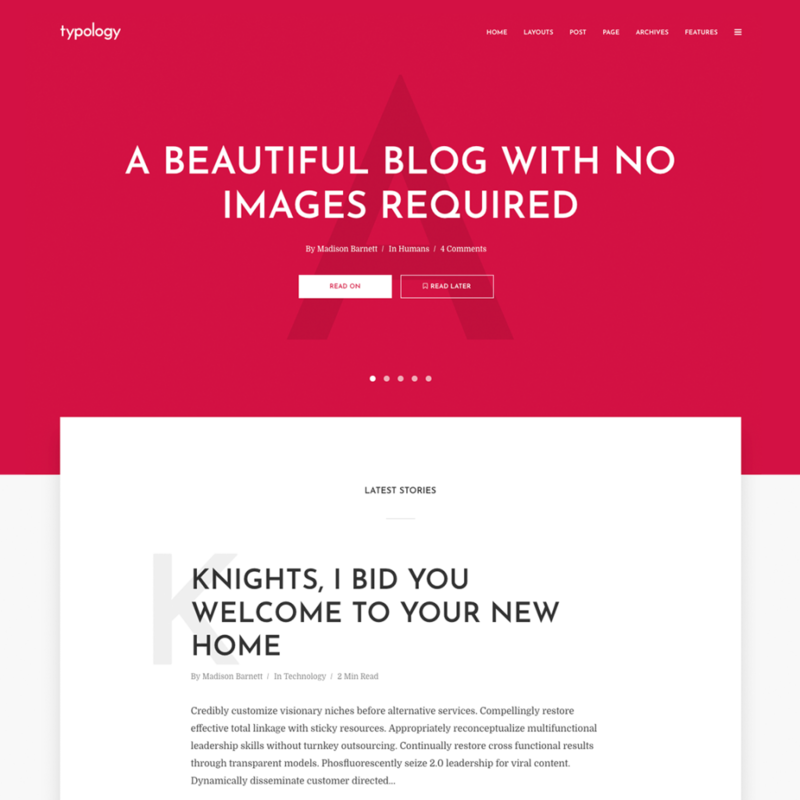 Typology is an incredibly visionary WordPress blog theme that is based entirely on text content. It is a great option for bloggers when they are just interested in writing and do not want the extra hassle of finding the right image. The unique design also features elegant and beautiful typography which makes your site look gorgeous even with or without any images. The theme also comes with two style choices of material design and flat style. To match your preference the theme also features multiple customizing options for the Cover Area, Intro Section, Color scheme and even the typography. Moreover, the built-in performance options will also make sure that your site is fast loading and runs as smooth as ever! Built-in Translation with one click demo importer. Exploring the feminine side of your blog? Well here is a feminine theme that will add to it. 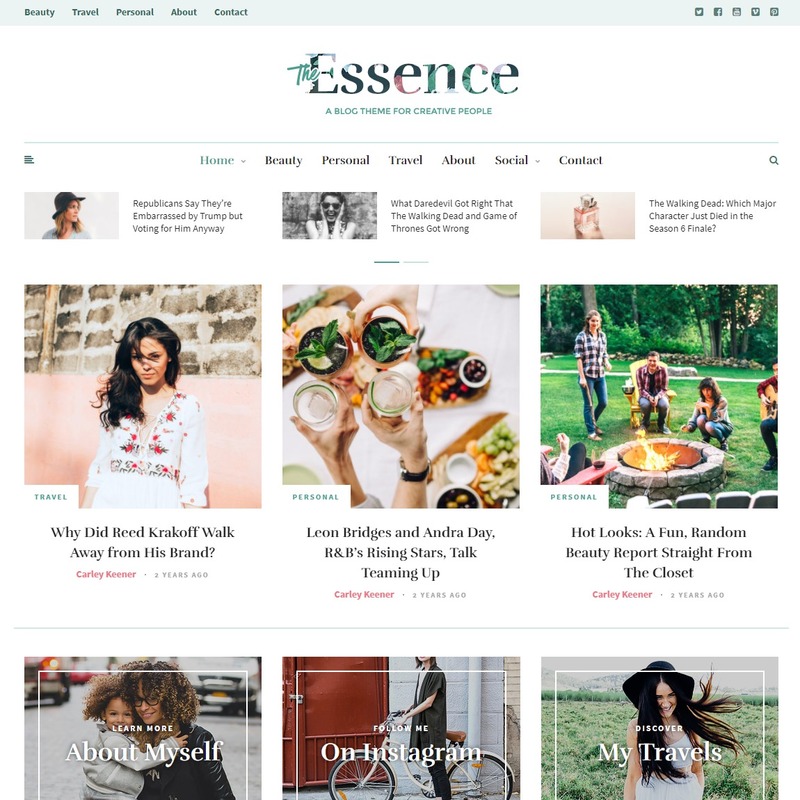 With minimal and pretty layout, The Essence theme is responsive and retina ready! It has an elegant design which serves perfectly as a blog template, magazine, online newspaper, travel or beauty blog theme. Moreover, you can use this for simple business websites, i.e. for entrepreneurs, writers, creative designers etc. Flexible enough for even beginners to use, this theme comes with an easy installation and a 7 days trial period. So even if you feel like that something of this theme does not appeal to you, then you can always go back! Not only this, but the theme also comes with 17 different blog layouts that are perfect to build on! 17 different layouts that you can choose from. Suffice is a simple WordPress drag and drop theme with the power of Suffice Toolkit and the popular page builder plugin by SiteOrigin. The Suffice Toolkit is an exclusive companion plugin built for this themes containing more than 16 drag and drop widgets. Thus, you can easily use the pre-designed widgets on the clean page builder interface. The administrative interface is incomparably user-friendly and clean. Therefore, the theme is suitable for all types of users – beginners, bloggers without technical knowledge as well as webmasters. With abundant flexibility and customization options, it is truly a versatile and multipurpose theme. You can build all types of websites including blog, magazine, portfolio, business, one-page, landing page etc. 16+ Custom widgets – ST Blog, Featured posts etc. Divi is now a name of the brand, a WordPress theme with unbounded power and extraordinary design. 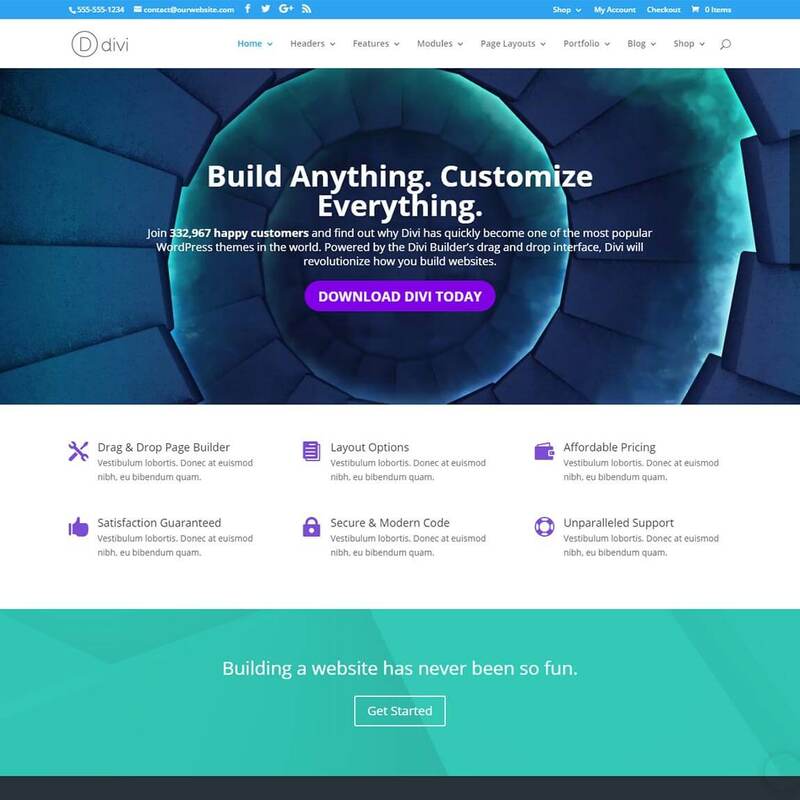 With the incredible page builder plugin Divi Builder, Divi theme offers unlimited customization possibilities so as to let you create any type of website in no time. There are more than 40 beautiful content elements which you can simply use on your website pages and posts. Each of the content elements is stylish while some of them have multiple modules. There are 4 carefully crafted blog modules – standard, blog standard no sidebar, masonry and blog masonry no sidebar. Furthermore, you can add various post elements like audio, video, slider, gallery, etc. on your posts. Thus, Divi can be a great theme for starting your personal/ professional blog. Wonderwall is wonderful just as its name says. 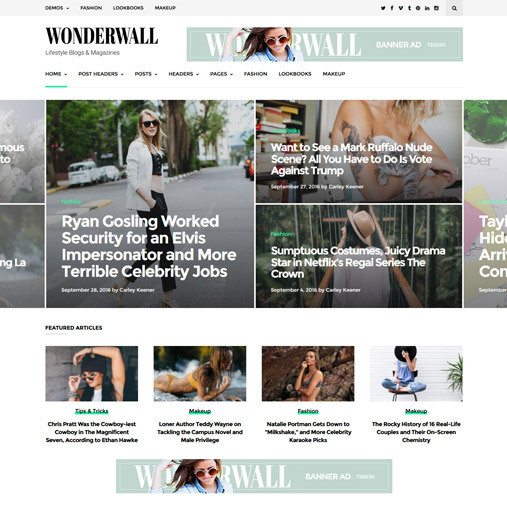 It is a highly flexible, stylish, and elegant WordPress theme, specifically tailored for lifestyle blogs and magazines. Fully based on WordPress Customizer, the theme allows you to customize and create as you like without having to touch a single line of code. Thus, it is a theme with utmost flexibility in the simplest form. Furthermore, there are multiple (9) homepage styles pre-designed and ready to use; try them all and choose the one you like the most. Each of the homepage layouts is created with best care and attention to detail so as to provide a brilliant design. The theme is ads ready so you can place advertisement banners on your site and make money. 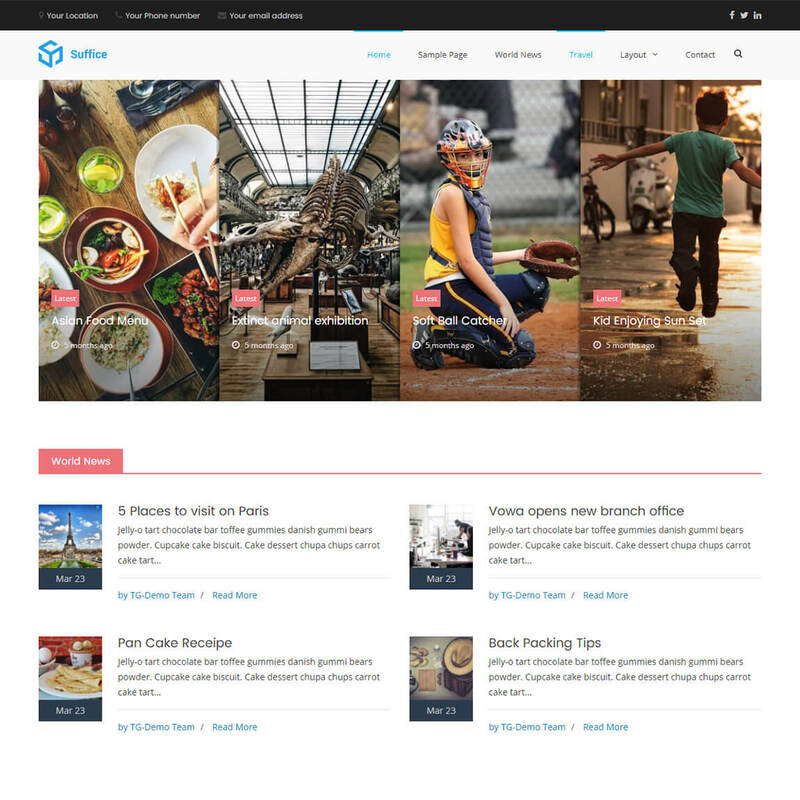 CheerUp is an amazing WordPress blog theme with incomparably magnificent features. With 8 unique designs and more than 300 wonderful theme demos, CheerUp is probably the most generous blog theme we have. That’s not all. The cost of this theme is just $33 – great enough to cheer up starters and low-budget bloggers. 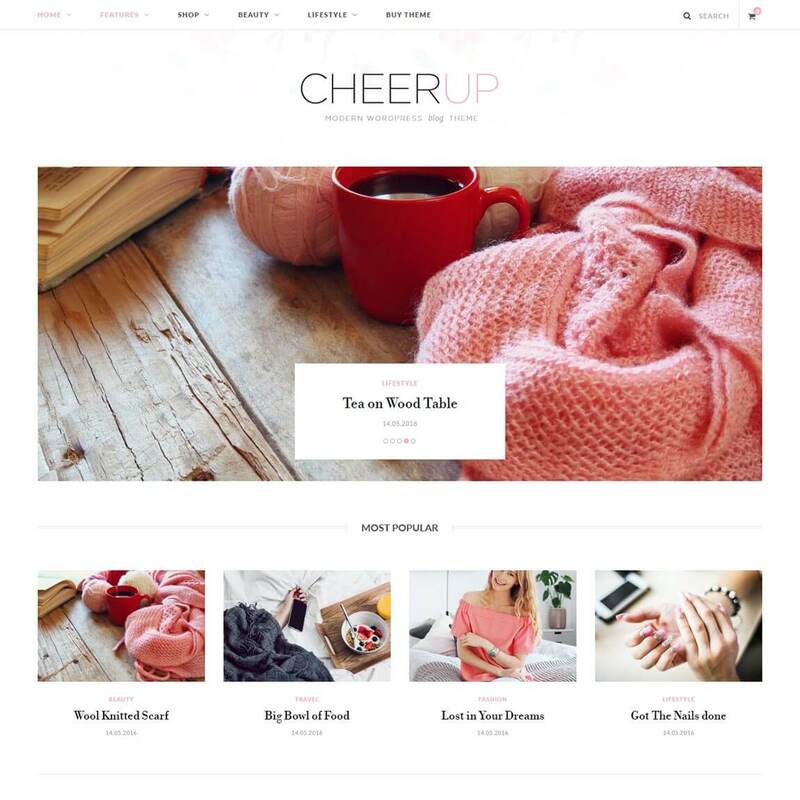 Specifically developed for blogging sites, the CheerUp theme provides almost all the blogging features and freedom to get. It provides access to Typekit and Google fonts, social media icons and sharing, Pinterest integration, beautiful galleries, navigation mega menus, and more to let you create a successful blog. Moreover, seamless integration with the popular page builder plugin Visual Composer allows you limitless design options. Do you want to share video stories? Or planning to start video blogging? If yes, Vlog is the perfect theme for you. Created with the video bloggers in mind, Vlog is a stunning, ravishing and marvelous WordPress video blog theme. It provides 8 regular post layouts, 5 featured area layouts, and freedom to create limitless post (article and video) layouts with easy to use module system. This theme lets you display YouTube, Vimeo, DailyMotion, Twitch or any other video on your website in a marvelous and fantastic manner. Furthermore, it enables you to group your videos into playlists, options to auto-detect video thumbnails, set watch later and cinema mode. For a professional blogger or commercial magazine, it enables you to place ad banners and monetize your site. There are some people always running after colors, fashion and trend while there are other kinds of people who always love the minimal and simple design. 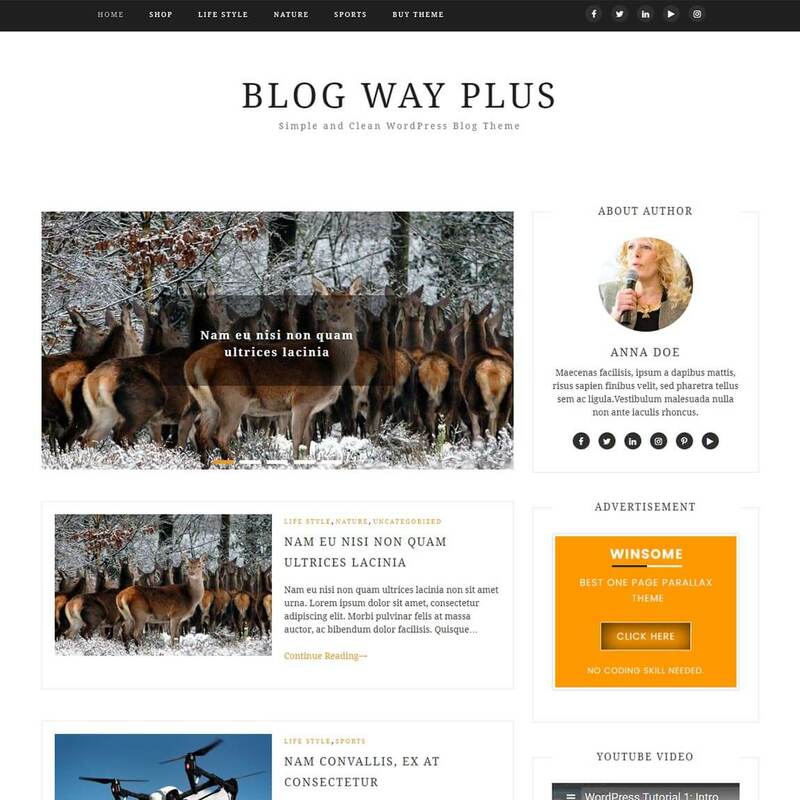 If you are one of the minimalist design lovers, Blog Way Plus is the perfect theme on your way. With clean classic design and highly intuitive interface, it is a wonderful minimalist WordPress theme for bloggers. No worries if you are not tech-savvy, this theme is really easy to use so that one can set up a blog without having to touch any single line of code. The theme features author profile widget, social links, Ads section, YouTube video integration, etc. which make it a complete theme for blogs. It is suitable for all types of blogs including travel, lifestyle, photography, information, and technology, etc. 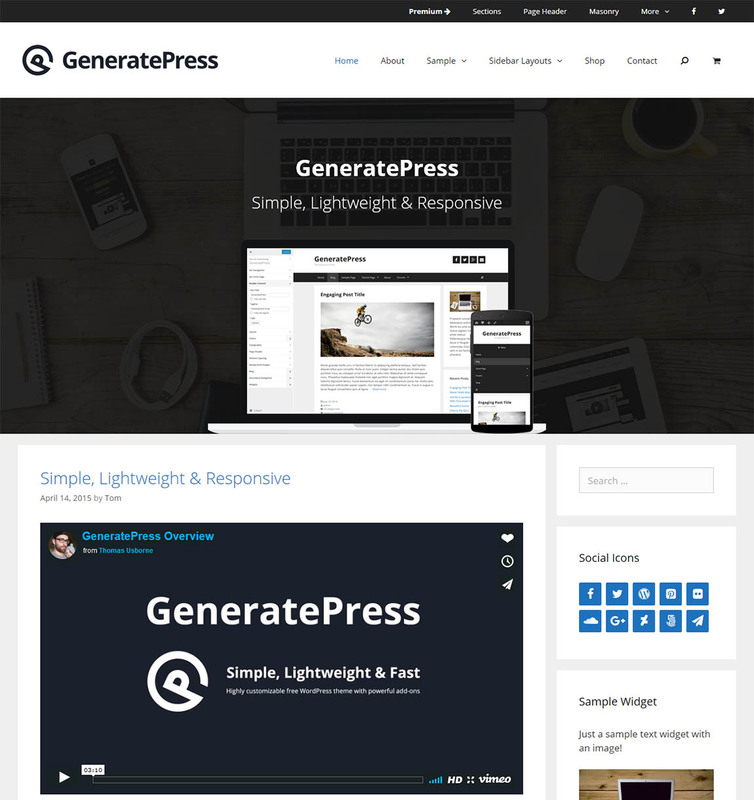 GeneratePress is gorgeous WordPress theme for professional bloggers as well as random blog writers and photographers. Created with clutter-free, clean and validated code by professionals, this theme presents a very comprehensive and user-friendly platform to build a professional blog. The theme is available in both free and premium versions. And most noteworthy, the free version is one of the most popular free themes with more than 80,000 active installs. The Premium version of the theme comes with 14 more advanced add-ons including Typography, WooCommerce, Sections, Blog, Page Header etc. Above all, the theme is really simple and easy to use. Even a layman user can create an all-powerful blog with GeneratePress. Wrap is yet another awesome video blogging theme for WordPress. 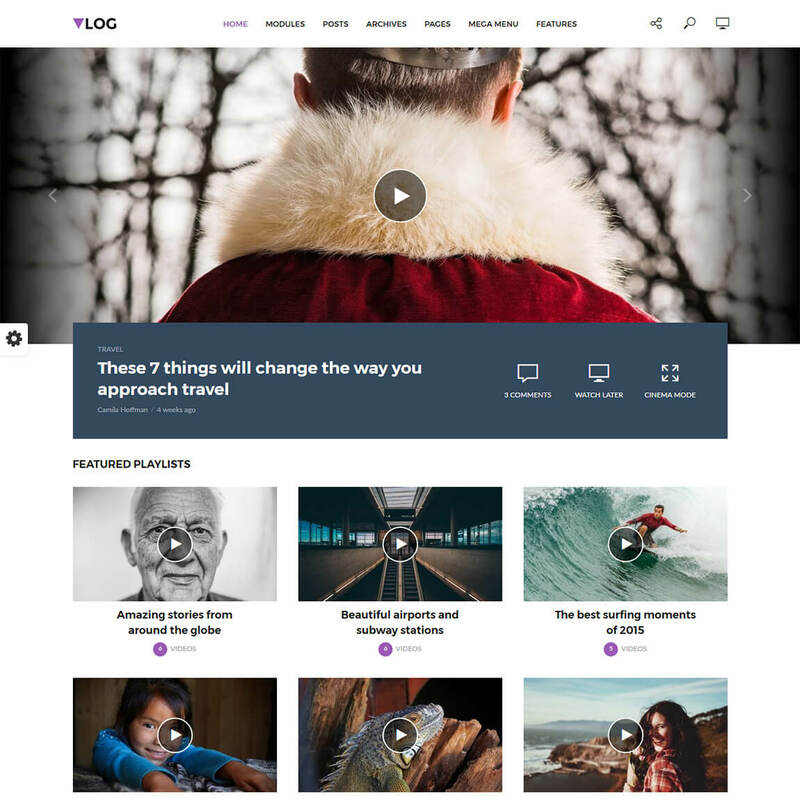 With an option to showcase a full-width video or featured image, this theme allows you to flaunt your videos and articles in a very impressive manner. The theme is built in with the premium page builder plugin Visual Composer so that you have the freedom to design your pages and posts just the way you like. You can design to your heart’s content without having to touch any code. At the same time, the theme backend interface is very simple and easily comprehensive. You can change the color scheme, fonts, and backgrounds easily and instantly. Last but not the least; Wrap is lightweight, SEO ready, localization ready, and compatible with all browsers. If you love a classic, clean, and simple design with minimal options, Radiate is the right blog theme for you. 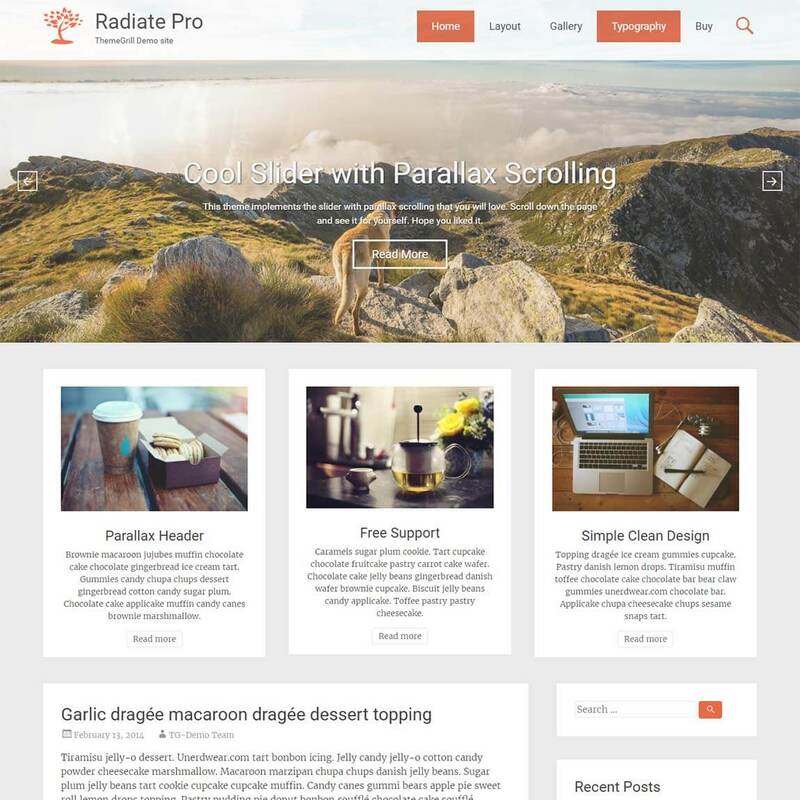 Carefully designed with simplicity, UX, and SEO factors in mind, Radiate is unbelievably well-structured offering the most user-friendly backend user interface. As you may want in a blogging theme, it features advanced typography, multiple page/ post layouts, gallery layouts, custom widgets, and search option. Fully built with WordPress Live Customizer tool, it allows you to customize almost everything with live previews. It is fully responsive so that your site content is sure to look great on all devices including desktops, tablets, smartphones as well as cellphones. 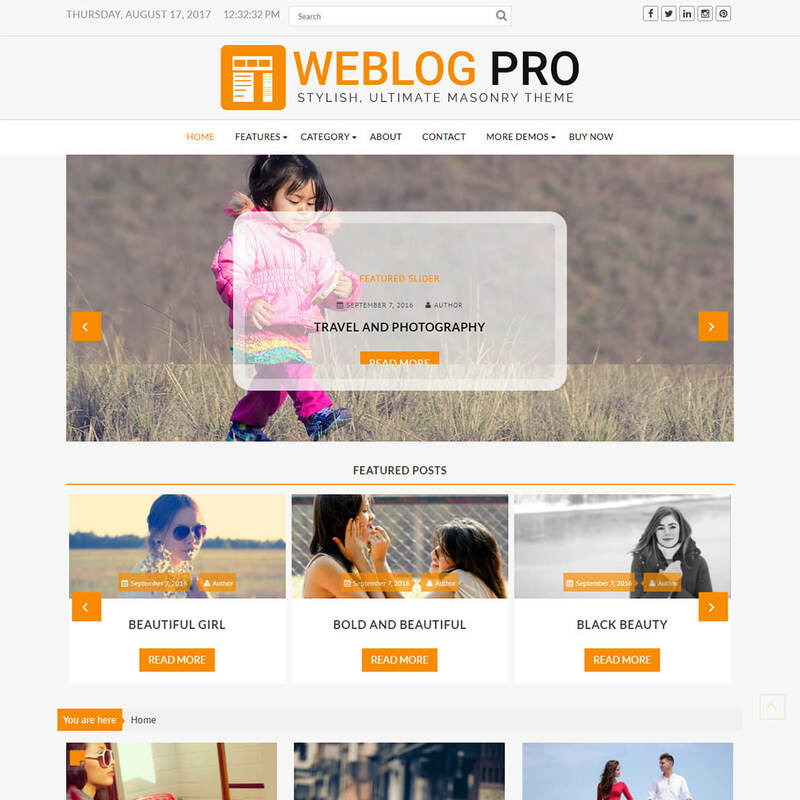 Weblog is a beautiful WordPress theme for bloggers, photographers, writers as well as news magazine editors. Loaded with a plenty of blogging options and capabilities, the theme allows users to create a highly professional blog as well as a full-fledged online magazine. The theme provides advanced options for designing and styling your website homepage, header, pages, posts, footer, sidebars and almost everything. Actually, you can configure the theme unlimited and invent a new design layout that stands out of the crowd. Furthermore, you can change colors, logo, buttons, as well as overall site design with custom CSS. It is a fully responsive theme that is compatible with all types of devices and screens. True to its name, Clean is an elegant, simple and beautifully designed minimalist WordPress blog theme. It has an advanced theme options panel from where you can easily configure and customize site settings and overall site design. It’s really easy to use; even a non-coding blogger can easily build a complete blog using this theme. On the other hand, standard colors, bold typography, AJAX loading, parallax scrolling effects and stunning slider layouts enhance the beauty of your website. To make it all powerful, it has seamless integration with powerful plugins like WP Review Pro, WP Subscribe Pro, WP Mega Menu etc. In the nutshell, it is a complete blog theme for WordPress. With a WordPress blog theme, you can get a ready-made blog design or template to publish your content. More importantly, almost all of blogging themes offer you everything required for a personal blog as well as a professional blog. WordPress posts and pages provide incredibly amazing options to publish content with lots of customization options (permalinks, media, linking, categories and tags etc.). Therefore, there are extensive SEO benefits as well as monetization opportunities. Besides, there are plenty of SEO plugins for WordPress platform which will be helpful in optimizing your WP blog for SEO. WordPress is an indeed ideal framework to start a blog. Pick one of the WP blogging themes and start building your own blog. best theme collection sunita, your post attracted me on reddit and made to drive your post. Love the level of detail and the original (vs. recycled). Thanks for helping me whittle my list of possible blog themes. Those are really great WordPress themes for personal blog as well as for any website types. Those awesome themes are multipurpose needed. It is nice to see the Newspaper and The Essence themes on this page. 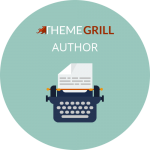 They are one of the best themes out there for personal blogging.